The common names for the Hardy perennial Anacyclus pyrethrum are Mount Atlas Daisy and Spanish Chamomile. The plant typically flowers in the spring until the middle of summer. 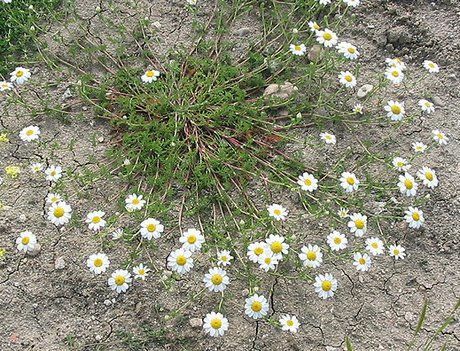 Members of the Anacyclus genus are small alpine plants with daisy like white or yellow flowers. 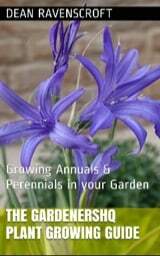 As a consequence of the plants small height they are ideal for rockeries or for growing in the gaps of dry stone walls. 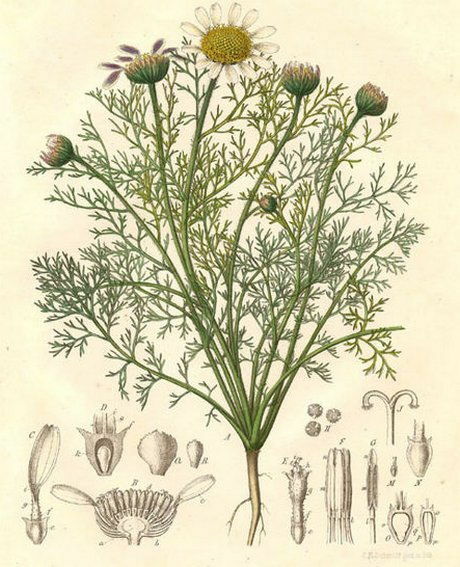 Anacyclus officinarum diagram and Anacyclus clavatus photograph from wikipics. It is best to sow Mount atlas daisies and similar species just below the soil surface, with a spacing of 30 to 20 cm in the autumn. Anacyclus prefers to grow in full sunlit conditions. The soil should be dry and gritty, the plant will not tolerate limey soils. Anacyclus requires between one and two months to germinate at a temperature of around 15 degrees centigrade if starting growth off inside. The seeds should be imbibed at 4 degrees centigrade in the fridge before planting out in the spring or autumn. Anacyclus looks after itself, but for best results it is a good idea to trim back the plants following flowering.